Looking for bible books? Biblio.co.nz hosts hundreds of of the finest online book stores and booksellers, including specialists in bible. Use the list below to locate a specific specialist bookseller or book store near you. Or, use the form below to search the inventory of all booksellers who specialize in bible. Beans Books has been selling books online since 2003. We specialize in Christian material, and have over 6000 titles. We are a family owned book business. We buy and sell books. If you have books to sell please contact us through our website. We offer a wide variety of books and other media items. Thanks for taking the time to learn about Carolina Book Trader! Chilton Books are secondhand and antiquarian booksellers Established in 2017 we sell all kinds of antiquarian and second-hand books. We have around 16,000 books on-line and still more titles on-site. We are principally mail order and internet traders without a high street shop front, but visitors are welcome to see our stock housed in a large purpose built store room. We are situated on the outskirts of the old town of Sudbury in the Suffolk Countryside. Please call first. Footprints Bookshop is operated by Valmai Gee as a sole-trader promoting Scripture Union, Ireland. G-Will Improvisation Music School, Mon-Sat 10am-5pm and in the Liberty Market (2nd-Hand Christian Bargain Books) Saturdays 10am-4pm. One of the largest sellers of used theological and religious books in the U.K. Established in 1971. We are an internet-only bookstore specializing in used, out-of-print, and rare Christian books and Bibles, emphasizing hard-to-find academic and scholarly titles in theology, biblical studies, apologetics, and Christian spirituality. Other featured categories are philosophy, literary classics, and Judaica. We make a particular effort to find and stock textbooks and commentaries with a theological perspective that is conservative and evangelical. A limited number of newer titles that are in print but not easily found in local bookstores are also featured. As a family-owned Christian business with a heart for ministry, we aim at offering you personalized service. We are committed to the highest possible standards of professional integrity in the used-book field, including thorough, accurate descriptions of our books and their conditions, rapid processing of orders, careful packaging, prompt shipping, and a 14-day money-back guarantee if the condition of any of our books is not as described. The Hitching Post Antiques Mall is located just outside of Tecumseh, Michigan on M-50. We have been family owned and operated since 1984. Our shop offers 8,000 square feet of antiques with a whole room dedicated to books. 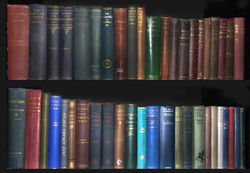 We offer a wide variety of books including reference books on antiques, early 1800s-1900s books and rare books. We have hundreds of books to choose from! Store located at 24 Park Avenue in Dayton, Ohio. Generally open Monday-Friday but best to call ahead if travelling. We have over 20,000 books of all types - specialities include Roman Catholic theology and culture, military history, ancient and medieval studies, and general rare books in all fields. Company president Owen D. Kubik has been a full-time bookseller for over 30 years. We are specialized in antique and rare books, first editions, incunabula, maps, atlas, limited edition and illustrated book. We are an independent bookstore located in the northeastern corner of Tennessee. We have been in business for over 40 years and have approximately 400,000 used books in stock. We specialize in theology, rare and out of print books, and signed memorabilia. The Philadelphia Rare Books & Manuscripts Co. (PRB&M/SessaBks), LLC, offers “Early Books of Europe & the Americas – Other Rarities as Chance may Supply,” and the partners like to observe that its typical book is “interesting for more than one reason.” Established in 1984 and now located on the wide parade ground of a former U.S. Army Arsenal in a historic “Officers’ Quarters” building dating in its oldest part from 1820, the shop is open to visitors by appointment and additionally keeps “Open House” most Saturdays 12 (noon) to 4. 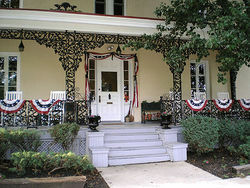 Up front, two large bookrooms offer the shop’s early, antiquarian books, while old porches and other areas offer the browsable stocks of its “SessaBks” division — the “medium rare” and the “good used.” Visitors must plan to call for reservations and directions as the partners are not always available and different Arsenal entry gates are open depending on what day or time it is, while GPS will NOT get guests all the way to PRB&M’s door within the “compound.”“Our Bottom Line”: We pride ourselves on the intrinsic interest of our material,the accuracy of our cataloguing, and the integrity of our dealings. We aim, simply, to place good books and manuscripts where they will be zestfully used and possessed with satisfaction. 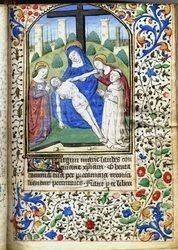 Specializing in rare and difficult to find historical and theological titles. The Dawn Book Supply is a UK registered Charity which publishes and sells New Bible Based and Second hand Christian & Religious books and other publications.